I found 90% of my beta readers via Craigslist. Their feedback was totally objective, and they were not paid to read or review my book. I lost two out of twelve CLers. But those who finished my Manuscript loved it. 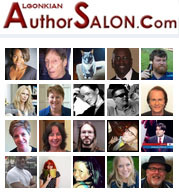 The readers below were great, and I appreciate them for volunteering to read my full Manuscript. Rose Garcia, Ann Gussman, Crystal Wrinkler, Brandi Philips, Anthony Valenz, and Becky Zimmerman. Special thanks to my beta readers who did more than just read my MS, but also gave comprehensive feedback: Marta Gonzalez-Stitts, Connie Abrew, Matthew Hamilton Farmer, Steven Farmer, Susan Skipper, Marsha Morales, Kathleen Hicks, A.K.A Kat Stiles, Ingrid Foster, and my mother, Donna Soley. “I’ll start by saying I was completely blown away by your book. I’m impressed by how well made this book is. Not just the story, but the formatting. It’s an easy read. That being said the story is excellent. It transcends so many genres. You have a small scale story of a soldier kidnapping a woman, and turn into a burgeoning romance novel, and it would have been good enough with just that. Then you added the backdrop of a looming war, the political effects of taking a foreign woman with child, and the sci-fi element. Combined them, and then you took the sci-fi to the next level. Never a dull moment. And it all flows together seamlessly.” – Steven Farmer – SPOILER ALERT! If you’d like to read this full review, please contact me. S.N. Petro released the first three chapters from her upcoming novel, The Warrior From Monde recently through social media. Noticing immediately the high class and well-written form of the piece, I knew that I wasn’t dealing with the likes of any amateur writer. I wouldn’t even feel comfortable using the term amateur to describe such a work.” – Eric May (Author of The Will’s Downfall Saga & Owner/Operator of The Grim Tower) Read more of this review below in the comments section. Character idea for Amina, who is Mya reborn. More on this novel coming soon. S.N. Petro released the first three chapters from her upcoming novel, The Warrior From Monde recently through social media. Noticing immediately the high class and well-written form of the piece, I knew that I wasn’t dealing with the likes of any amateur writer. I wouldn’t even feel comfortable using the term amateur to describe such a work. However, I did at first have a rough time catching hold from the very beginning. That’s no fault of the author’s however; as I must admit that this brand of fantasy is not a genre I am fully acquainted with. Being a man more interested in the wild and whimsical, as well as the outlandish material that seems better fit for that of comic books; it was admittedly new to me. Nevertheless, Robert E. Howard and George R.R. Martin began to ring bells within my head as I scoured through the prose. As I kept reading, I found myself being slowly sucked in as I witnessed the capture of a young woman by that of what I assumed would at first be a rather cruel Marquis. It even seemed to head in the direction of a Game Of Thrones moment, yet took a turn for the unexpected that I would have never seen coming. As I continued reading, I became further and further interested in the tale and its characters (who seemed to end up walking through my head, as characters often and do) which at the point consisted of a handsome yet battle-worn Marquis, the captured woman and her child and one of the King’s many servants who seemed to wonder exactly what was going on. But as we’ll later witness, there is much more to the captured girl and her child than we’d ever imagined and I’ll reckon the King will want to know every detail for himself at some point in time. The three chapters were short, but they got the pot boiling with just enough steam to keep me entertained and curious as to what fate holds in store for all of the pieces on the playing board. With the first twenty-five pages, she’s merely set everything up and only a few moves have been made. But I was left hanging on the last word, torn away from the world in just as little time as I had spent inside of it. There’s most certainly a treasure to be unearthed in the work of S.N. Petro, but I’ve no idea as to what will unfold in the chapters and pages to come. We know very little of the world and what it may hold in the future, but I’m quite interested in this and other subsequent works from the author.